This is the third in the definitive series of helpful, practical advice for families of alcoholics and for professionals concerned with the disease of alcoholism. 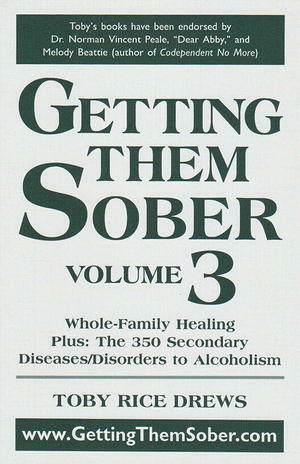 The volume includes a special section, The 350 Secondary Diseases/Disorders to Alcoholism. Includes introductions by LeClair Bissell, MD and James R. Milam, MD. Your work saved my life. I went to Alanon, read everything I could get my hands on, poured myself into fixing myself, went to Betty Ford Family Program (while my very high functioning alcoholic husband stayed behind because after all, he wasn't the problem, he and his family insisted that the problem was that my mother was alcoholic, making me overly sensitive). It seemed the more I did to "fix" myself, the worse I felt and the more empowered he became. Your work is the only thing that I have come across to date that addresses (head on) what many other otherwise wonderful programs and perspectives do not.... the head, heart, and gut of the crazy making. I originally read your materials to try and save my marriage. In the end, I saved myself and am free of a very toxic life. I passed your books on to a good friend and she credits your work to saving herself which resulted in her alcoholic husband getting sober. It has been a joy to watch them heal over the years. My 16 year old daughter is now struggling to navigate her father's crazy making. She is not a substance user, sees it for what it is and has distanced herself from him. But she is frustrated, hurt, and angry.